A dynasty trust is used to pass on property and assets for the benefit of an individual’s descendants and their descendants. These types of trusts are typically utilized when a person would like to avoid the extensive taxes involved with estate administration and probate. Dynasty trusts have a wide range of benefits for the creator of the trust and the beneficiaries of the trust. If you or a family member wants to establish a dynasty trust, you should speak with an experienced Delaware County trust lawyer today. At Herr Potts and Potts, our dedicated lawyers are prepared to help you with all your estate planning needs. Our lawyers are here to explain what a dynasty trust is in Pennsylvania. To understand how a dynasty trust operates, you should know the purpose of a dynasty trust. A dynasty trust is designed to work around the generation-skipping transfer tax (GST) instituted by the IRS to prevent people from creating a dynasty, even with the use of a trust. The purpose of the GST tax is to impede individuals from leaving gifts or assets to their descendants without paying taxes on those items. There is a $5.45 million exemption before a GST tax is initiated. A dynasty trust is designed to perpetually exist and provide for the trustor’s descendants and their descendants. A dynasty trust is an irrevocable trust but may also be known as an irrevocable life insurance trust or disclaimer trust. A dynasty trust is designed to avoid the GST tax and any other death taxes that may affect an estate. A dynasty trust can even include language used to establish a special needs trust. The GST tax is triggered when a grandparent conveys property or money to their grandchild using a trust. For example, if a grandparent transfers their entire estate into a trust until their grandchild reaches the age of 18, the estate would still owe taxes despite the use of a trust. The GST tax can also be triggered if an individual conveys property or money to a person they are not related to that is at least 37.5 years younger than them. 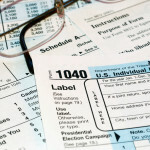 The IRS applies the GST tax not only to traditional trusts but any financial plan that may resemble a trust. Fortunately, there are ways to circumvent the GST tax. One method for successfully utilizing a dynasty trust is by funding the trust with life insurance proceeds. A dynasty irrevocable life insurance trust allows you to transfer the proceeds of the life insurance to the trust without exceeding the GST tax exemption. The reason the tax is not exceeded is that the insurance proceeds do not determine the value of the trust, but instead, the amount of money paid for the insurance policy. You should also ask an experienced lawyer about whether the rule of perpetuities may apply to your dynasty trust. The rule of perpetuities is designed to prevent a person from controlling their assets or the assets of their heirs long after their death. It is also important to note that you do not have to be a resident of a certain state to establish a dynasty trust in that state. This allows you to search for a state that has rules that will suit your unique needs when creating a dynasty trust. To learn more about trusts in Pennsylvania, you should contact an experienced West Chester estate planning lawyer. You should always check to see how long a dynasty trust can last in the state you are using to create your trust. In Pennsylvania, a dynasty trust can last forever. However, when you establish a dynasty trust, you can choose the date that it will end. For example, the end of the dynasty trust can be triggered upon the death of a particular grandchild. It is important to note that you must add new children or adopted children as beneficiaries of a dynasty trust. While they are not added automatically, you can add or remove a child from a dynasty trust at any time. 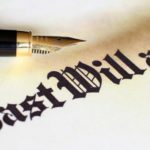 If you want to create a dynasty trust for the benefit of your heirs, you should consult with an experienced Montgomery County estate planning attorney. At Herr Potts and Potts, our attorneys have served clients across southeast Pennsylvania for over 80 years, and we are prepared to represent you. Our firm has extensive experience dealing with various types of elder law from estate planning to long-term care planning. To schedule a confidential legal consultation, call us at (610) 254-0114, or contact us online. How Does Estate Planning Work if I’m Married to a Non-U.S. Citizen?